(((folkYEAH!))) 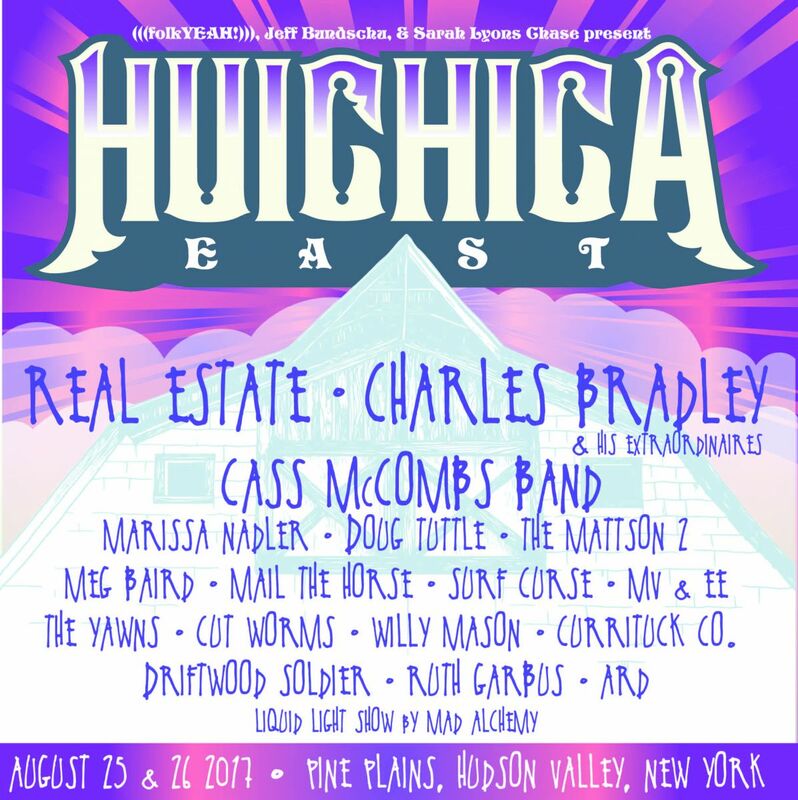 Presents, Jeff Bundschu and Sarah Lyons Chase are pleased to announce the full lineup for the 2017 Huichica East Festival – a true farm to table festival with two days of fantastic live music, locally sourced and sold food concessions from Chaseholm Farms, wine from Gundlach Bundschu winery in Sonoma and craft beer. The two-day event, founded by vintner Jeff Bundschu and (((folkYEAH!))) Presents founder Britt Govea, will be held at the beautiful Chaseholm Farms in Hudson Valley on August 25th and 26th, 2017. Two-day music passes for the festival go on sale Wednesday, May 17th at high noon EST and can be purchased at huichica.com for $90. Two day car camping passes are also available for $30 and include camping for up to 8 people. A family-friendly festival, children are encouraged to attend and admission is free for those under the age of 16 when accompanied by an adult. The festival, born out of Huichica series that takes place in Sonoma, CA at the Gundlach Bundschu Winery, features a knockout lineup including Hudson Valley born-and-raised Real Estate, the now-legendary Charles Bradley & His Extraordinaires, Cass McCombs, Marissa Nadler, Doug Tuttle and West Coast up-and-comers The Mattson 2. Also on the bill are Meg Baird performing with Charlie Saufley (of Heron Oblivion), Brooklyn-based Mail the Horse and many others. For additional information on the festival, lineup and vendors, please visit huichica.com or folkyeah.com.